TRENDnet’s 28-Port Gigabit PoE+ Managed Layer 2 Switch with 4 SFP slots, model TL2-G284, has 20 x Gigabit PoE ports, 4 x Gigabit PoE+ ports, 4 x shared SFP slots, a console port, a PoE Power budget of 185 watts, and an advanced Layer 2 management feature set. This IPv6 ready switch offers traffic management, troubleshooting, access control, and monitoring features. Managed features include access control lists, VLAN, IGMP snooping, QoS, RMON, SNMP trap and syslog for monitoring and flexible network integration. 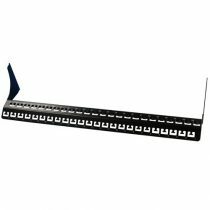 Provides 20 x Gigabit PoE ports, 4 x Gigabit PoE+ ports, 4 x SFP slots, a console port, and includes rackmount brackets. This switch supports IPv6 configuration and IPv6 neighbor discovery. 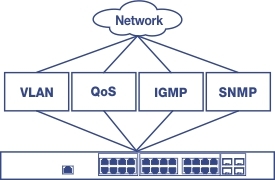 A broad range of network configurations are supported by: 802.3ad link aggregation, Asymmetric VLAN, 802.1Q VLAN, Voice VLAN, Private VLAN, Bandwidth Controls, GVRP, IGMP v1-v3, 802.1p Class of Service (CoS), Spanning Tree (STP, RSTP, and MSTP), and QoS queue scheduling. Real time traffic comparison charts, error group charts, and a convenient cable diagnostic test aid in rapid troubleshooting. Features such as ACL, SSL, MAC / port filtering, Denial of Service controls, 802.1X, TACACS+, and RADIUS are compatible with layered network access controls. RMON, SNMP, SNMP Trap, and Port Mirroring support administrator monitoring solutions. TEG1009P-EI is the gigabit unmanaged lightning protection switch which is Tenda specifically developed for requirement of building Gigabit WLAN and HD camera monitor network.With high-performance access, 9-10/100M/1000M Base-T Ethernet RJ45 ports; 4KV lightning-proof for uplink port; every single port support MDI/MDIX and wired speed; PoE ports supports IEEE802.3at/af standard while detecting and recognizing the IEEE 802.3at/af standard power device automatically. Through conventional Cat 5e twisted-pair cable, power can be transmitted along with data for AP, IP Camera and IP Phone. With PoE dynamic power, easier configure, flexible extend network without being limited by the power line layout, plug and play, helping SMB,hotel, shopping mall,school to build high-security and reliability network of wireless cover and HD monitor. provides 16 10/100Base-TX RJ45 ports, 2 10/100/1000Base-T RJ45 ports and 2 1000Base-X SFP combos. 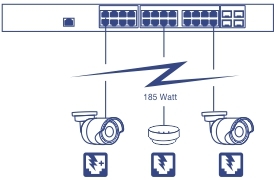 Ports 1-16 support IEEE 802.3af PoE (15.4W) and IEEE 802.3at PoE+ (30W) powering. The whole PoE output is 230W. By using Cat 5 twisted pair, the device can provide data and power for APs, IP cameras, IP phones, and other PoE devices. 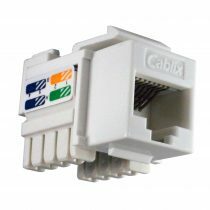 Moreover, by using Cat 5e Ethernet and enabling extend mode, the transmission distance of data and power can be as long as 250 meters. 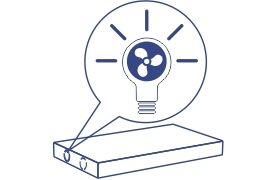 In addition, it supports QVLAN, link aggregation, QoS, MAC binding, etc, which saves the cost, time and energy of network deployment to a great extent. TEG3224P, launched by Tenda, is designed for building more secure and smart wireless network. Providing 24 10/100/1000 auto-negotiation RJ-45 ports and 4 reusable Base-X SFP ports, its RJ45 ports support both IEEE 802.3af (15.4W) and 802.3at (30 W) standard. In addition, it provides ARP attack defense, worm attack defense, IP+MAC+PORT+VLAN Bind, MAC filter and other safety settings through visual WEB interface operations. On the basis of high performance access, it provides a protective system with security of high level, perfect QoS strategy, rich VLAN function and greater ease of use of network administration and maintenance. It is best choice for your network.